Finally... a book for community college students that represents so much more! (Hello, all! Some updates from me: -First of all, my blogging rhythm is still off and quite honestly, as a new blogger, a new author, a mother, and a public employee, I’m just still juggling my way. So, I’ll say that I appreciate your patience as I continue to find a pattern that works and one that maintains my quality of content for you! -Second, an exciting update! Remember last week’s post where I told you about my colleague who confronted the class? Guess what? Colleague taught class Colleague’s way using the students’ input, abandoning the “canned curriculum” Colleague had been using. The class was electric! The students loved the teaching style and the format. They actually clapped at the end! Colleague “feels excited about prepping/teaching.” Bravo to Colleague for confronting that “bad class” situation, opening up conversation with the students, and turning the dynamic around. It’s my very first book review! Now I’ve said before that I will never, ever, ever endorse something that I cannot wrap my entire heart and head around. So, you know this has to be good! Let me start by giving you a little bit of history: When I was finishing graduate school, I was desperate to find a book on how to find a job teaching at a community college. Now if I couldn’t find a book about teaching in a community college, what about being a community college student? The pickings have been pretty slim in that department, too. Believe me, I know. I just did a literature review of college success books for my own book proposal and the authors are from universities. Fast-forward a year-and-change later and I am thrilled to hold that book in my hand. Let’s start with the obvious about why this book is so critically important in the world: Community college students have a much needed ambassador in Isa Adney. You can read about Isa’s background on her website, but I’ll give you the summary: first-gen college student who didn’t want to put her parents in scorching debt. So she “settled” for a community college. But little did Isa know, she found a gateway to incredible scholarships and unthinkable opportunity. For students, the beauty of this book is that she tells you how find these opportunities, too. Now let me qualify what I’m saying here: So, so many college success books (and I’ve seen a bunch of them for my own proposal, remember?) give students a big punch list of “what you should do and why.” What makes Isa’s book refreshingly unique is that her recommendations literally feel like her arm is right around your shoulder, like she is right there by your side, walking along with you on the campus! For example, when Isa tells you “how joining clubs can help you soar,” she sandwiches the advice between her own experiences and actual quotes from students who took the advice, or describe how they felt before they took the advice, and what they did to overcome their fears. Isa gives this same treatment to the chapter on talking to classmates, as well as approaching professors. 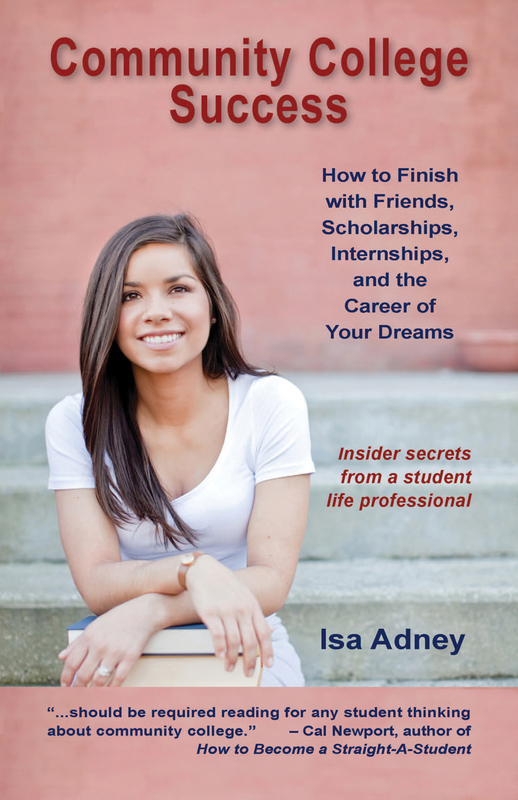 Her candor regarding her own apprehensions, as well as her real-life examples, give students confidence and a feeling of “I can do this, too!” Check out the robust Look Inside the Book feature on Amazon and look at all the academic advice that Isa’s book offers. She took every single one of these intricate steps herself and interviewed other students who tried them, too. Now let me come full-circle in this review: How this book can change your life even if you’re not in college. Isa’s personal triumphs aside–earning the coveted $110,000 Jack Kent Cooke scholarship–section three of this book is the brass ring for any person who is job hunting or considering changing jobs. Currently, Isa is being lauded by career experts for her career advice, and in reading this book, you will see why. Bottom line: Isa does not come from money. She says, “If your family history is anything like mine, then you probably didn’t grow up socializing with doctors, attorneys or CEOs.” Isa had to break the cycle of poverty by learning from professionals. Isa had to be bold enough to invite mentors into her life. She had to ask questions. 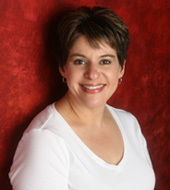 She had to research and communicate to seek others out and learn from their experiences. Isa tells you step-by-step how she found mentors, scholarships, opportunities, and jobs. And again, Isa explains her process in a way that makes you believe that you can follow her path. Any advice book worth its salt helps the reader feel empowered and like they can take immediate action. Isa’s book does just that for both students and the public-at-large. This book is special in so many ways and for so many reasons. It represents an extremely underserved segment of the academic population, provides specific, critical advice for many out there who are navigating the job market, and, most importantly, celebrates a young woman who is generously prepared to share knowledge with others… as her mentors shared with her. This book looks great. I will make sure that I remember it when I am counseling students who are starting their academic careers in community college. Too often, these students are disappointed, embarassed and unsure of where to go for advice. This book seems like a great resource for a growing community. Definitely check this book out and also Isa’s blog, Community College Success. She writes all the time and is doing a lot of career mentoring now, too. I agree with you that students feel like community college is the 13th grade. Little do they know how many students go on to some pretty amazing things. My kids are both slated for two years of community college, regardless. I know that if they are superstars, then they can be super-competitive as big fish in a little pond. If they are not such superstars, they will get the needed help before going on to a university. It’s a win-win. As always, thanks so much for writing! I just found this book on iTunes and sent a link to a friend struggling to finish her studies at community college. She appears to have a lot in common with Isa. I hope she buys the book and gets lots out of it. Also, I just found your book on iTunes as well, so have it now in my posession. My family’s ordered it as a high school graduation gift for a cousin too! Spreading the pro communication word! Hi! Thank you so much for writing and I owe you an e-mail!!!! I hope she buys the book, too, and follows Isa’s blog. I appreciate you spreading the word about both of these books. I am going to subscribe to your blog on RSS feed, which I’ve just learned how to set up. Crazy that I have earned three online teaching awards and just learned about RSS feeds… insane! I’m so glad to hear from you and must get updates! - Joining clubs can help you soar. This applies to college life, but honestly, it applies to life in general. You can find like-minded people who love doing the things that you do. That then gives you a pool of friendships. No student/single parent/cancer survivor/etc. should ever have to go through life alone. I believe that about joining clubs. I was in Toastmasters for seven years and it’s the entire reason that I’m a professor. I was in healthcare for those same seven years. Wait… you know all this from the blog posts… so I won’t repeat it. Anyway, you’re right–as usual! Are you from the wrong side of the tracks? I don’t believe it!